This beginner’s modern calligraphy workshop will teach you everything you need to know about starting with the basics of dip pen calligraphy. 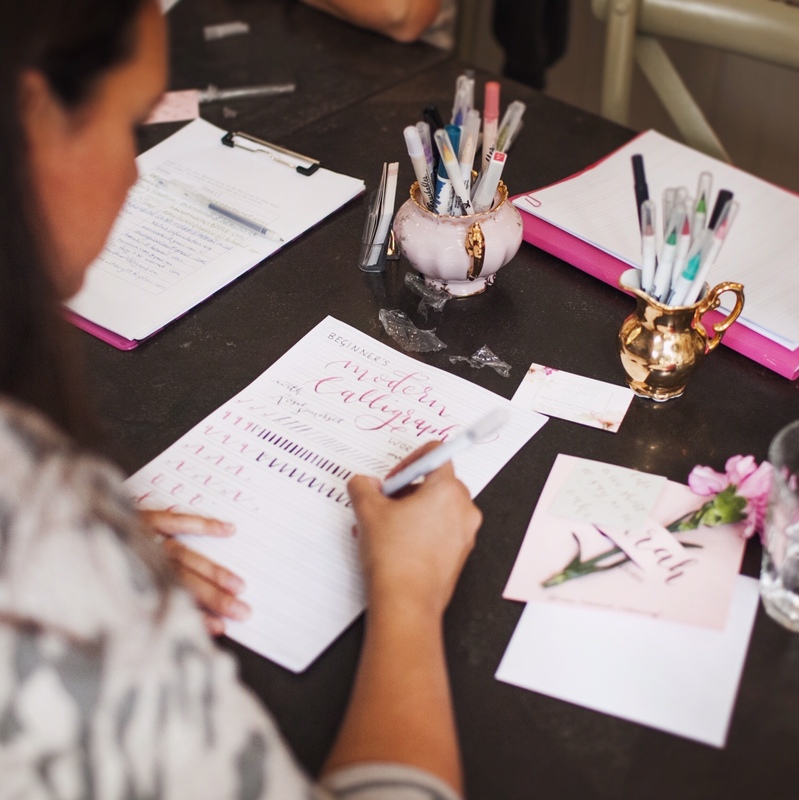 Come and learn how to write beautifully with a pointed dip pen and explore how to put a modern twist on this classic and relaxing art form. This is a beginner’s workshop – no experience necessary! We will begin with exploring the basic shapes and patterns that are used in calligraphy, before moving on to learning how to write all the letters in a modern dip pen style. By the end of the class we will put these skills together into writing words in your own unique style.